Posted by Jay Watson on Friday, February 22, 2019 in Uncategorized. If you’re a student considering transfer admissions, you likely have a lot of questions on your mind. What will life be like at a new school? Will any of my credits transfer? What support is available for transfer students? Can I get financial aid? Oh, and what are the application requirements? We’re here to help, with answers to questions for students thinking about Vanderbilt as a transfer destination. If you don’t see the answer to your question here, feel free to reach out to your Vanderbilt Admissions Counselor (remember, your counselor is based on the location of the high school from which you graduated). Will my credits transfer? 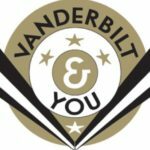 Vanderbilt will evaluate the credit you’ve earned on a course-by-course basis. The Office of the University Registrar manages the transfer credit evaluation process, and you can learn more at their Transfer Credit Course Review website. Can I live on campus? Yes. In fact, living on campus is a requirement for all Vanderbilt undergraduates, and that includes transfers students. 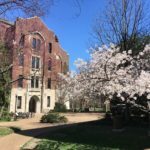 Admitted transfer students apply for housing in Vanderbilt’s varied upperclass options over the summer. What support is available for transfer students? 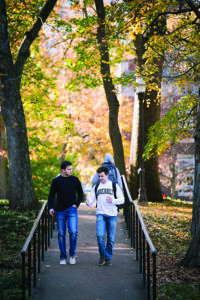 The Office of Transition Programs supports students who transfer to Vanderbilt. Incoming transfer students participate in Transfer Student Orientation, where they meet other Vanderbilt Commodores and begin to learn the ins and outs of campus. 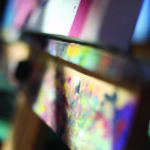 Incoming transfers also participate in transfer student groups. 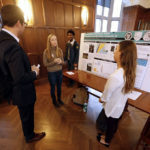 Led by upperclass transfer students, these groups help students make connections as they learn to navigate Vanderbilt. How do I apply? You may apply using the Coalition Application or the Common Application. A full checklist of application requirements for transfers is available on our transfer page. March 15 is the priority deadline for transfer applications, and we will begin releasing decisions on a rolling basis in late-April. Can I get financial aid? Vanderbilt’s excellent need-based financial aid program applies to transfer students. That means Vanderbilt meets 100% of demonstrated financial need for all admitted students, our admissions process is need-blind for US citizens and eligible non-citizens, and financial aid awards do not include loans. Potential transfer students should note, however, that merit-based aid is not available to transfer applicants. For more information on need-based financial aid, including how to apply, visit the Office of Student Financial Aid and Undergraduate Scholarships website. Admission to Vanderbilt as a transfer student is highly competitive and based on a number of factors, but it all begins with academic merit. 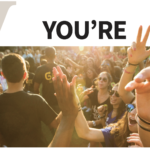 Typically, admitted transfer students have a GPA of a A-/A or higher, along with competitive test scores, involvement in their current college community, and a compelling reason why Vanderbilt is the right place for them to complete their undergraduate degree. Since we are a residential campus community, our admission process gives preference to students who have been able to show full-time engagement and full-time enrollment in a similar campus community at their current institution. Because you apply to a specific school at Vanderbilt, fit for and available space within a particular school or academic program will also be considered. What is it really like to be a transfer at Vanderbilt? I can’t give you a first-hand account of life as a transfer to VU, but I can direct you to the transfersofvu instagram account which may help you get a better sense of life through the eyes of Vanderbilt transfers. transfers led the charge at founders walk!!! !